Roman martyrs known in the apocryphal Acts, which recount their martyrdoms. According to the Acta, they were Roman sisters, the daughters of a Roman senator. 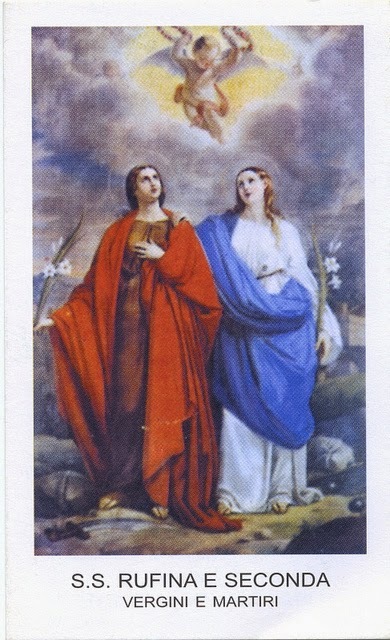 Their fiances gave up the Christian faith, however Rufina and Secunda would not deny Christ. Thus, both were arrested and beheaded during the persecutions of Emperor Valerian (r. 253-260). They were buried on the Via Aurelia, at the Santa Rufina.